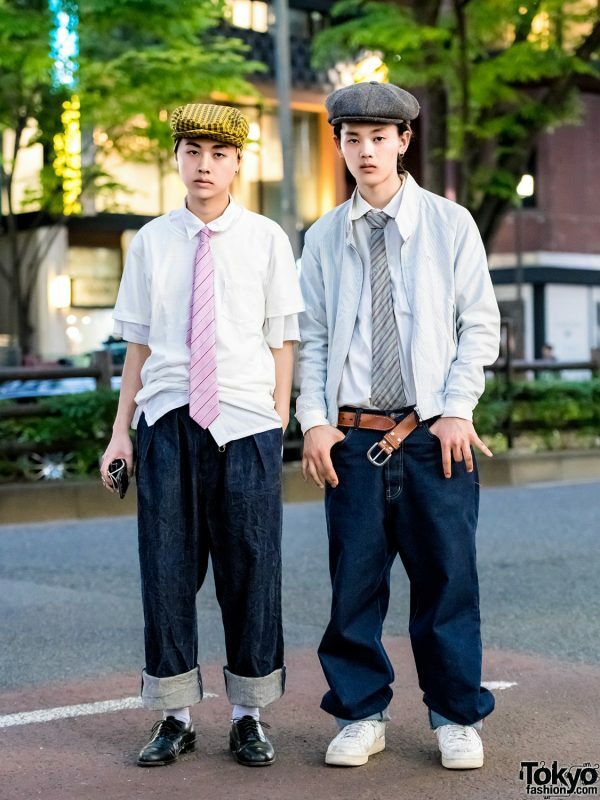 We met Raw and Iori, two 19-year-olds who easily caught our attention with their preppy street looks. 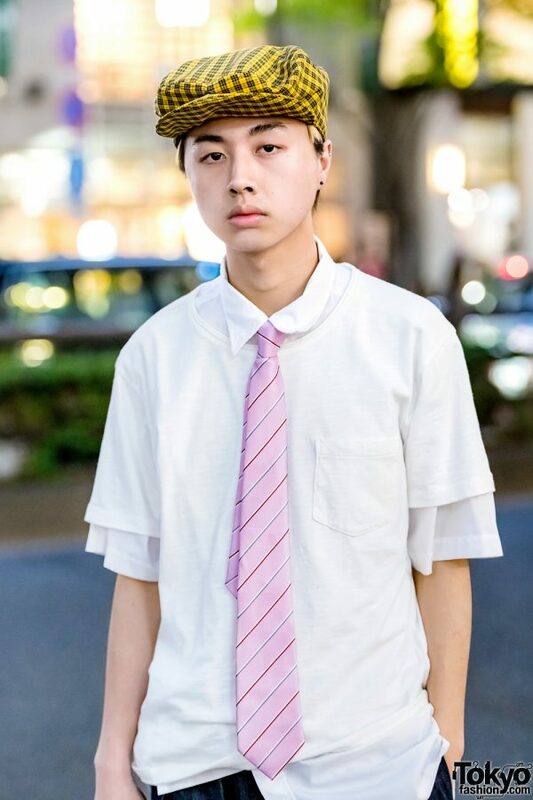 Sporting a black-and-yellow plaid newsboy cap from Vaquera, Raw is dressed in a white short sleeve collar shirt layered with a white pocket t-shirt, and styled with a pink diagonally-striped necktie. 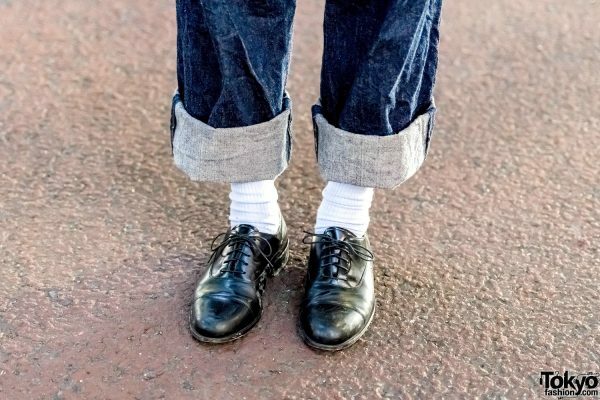 He paired his layered shirts with cuffed baggy denim pants from Neat, white socks, black leather lace-up shoes, and silver knuckle rings from Tokyo Human Experiments. 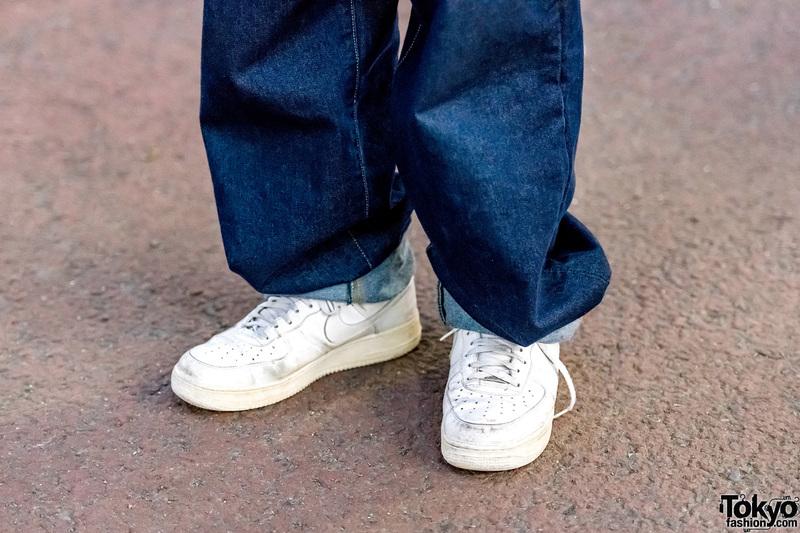 Raw’s fashion favorites are Chin Mens and Kudos, and he likes the music of Deformed Nippon. Raw is active on Twitter and Instagram. 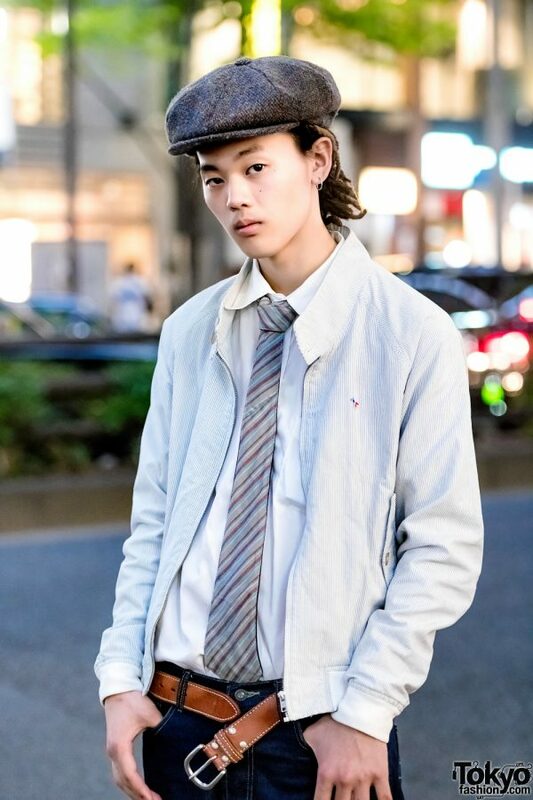 Meanwhile, Iori – a San To Nibun No Ichi staffer – is wearing a striped jacket over a light grey collar shirt from Maison Kitsune, styled with a grey striped necktie and cuffed baggy jeans with a wide brown belt. He completed his look with white sneakers, silver hoop earrings, and a grey wool newsboy cap. 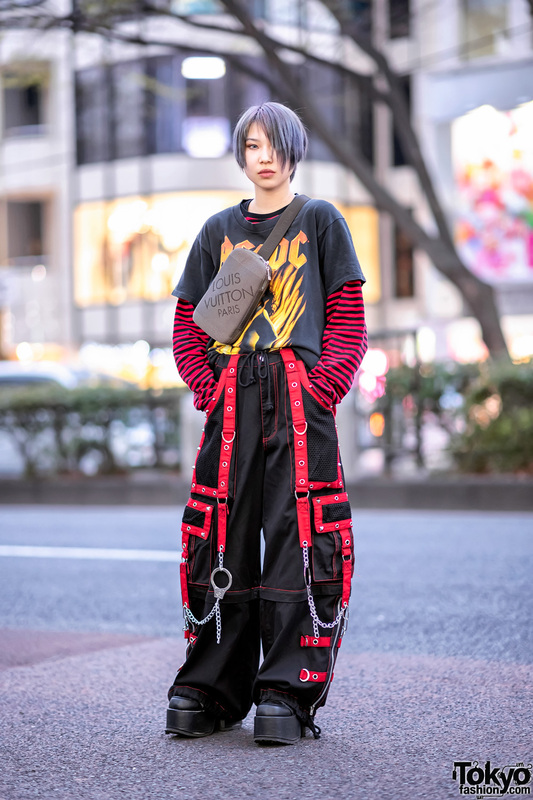 Vaquera is Iori’s favorite brand, and he likes listening to classical music. Iori is also active on Instagram.